English-born American actor, Joe Penny has been around for decades, making significant marks in the global film industry. He is one of the veteran Hollywood actors who have remained active till date. Joe played a majority of his roles on television drama instead of movies. In fact, his celebrity status was as a result of his television works. He is popularly known for his roles as Nick Ryder in the 1984-1986 television series Riptide and as Jake Styles in the 1987-1992 CBC television series Jake and the Fatman. Read on to find out more fascinating things about the talented actor. Joseph Edward Penny Jr. was born on June 24, 1956, in Uxbridge, London, England, in the United Kingdom. Joe was raised half-way in Marietta, Georgia because his mother took him with her to California after she divorced his father. In California, he was enrolled at the Marina High School in Huntington Beach. As a young adult, Joe Penny enrolled to study acting under Legendary actor and acting teacher, Lee Strasberg. He subsequently began his career at the age of 21, that was in 1977. Penny debuted with a minor role on an episode of The Hardy Boys/Nancy Drew Mysteries. That same year, he took up minor roles in two other TV series – Delta County, U.S.A. and Forever Fernwood. In 1984, Joe Penny landed his first major role in an NBC television detective series Riptide (1984-86) where he starred as private detective Nick Ryder. After Riptide, he landed an even bigger role in the television crime drama, Jake and the Fatman (1987-1992), starring as undercover investigator Jake Styles. 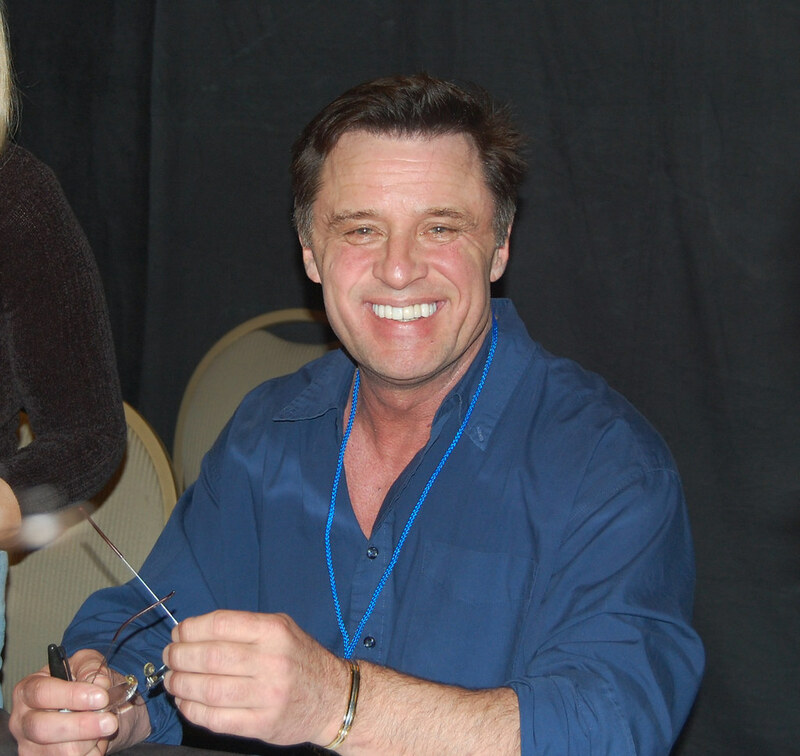 Joe Penny has already spent over four decades as a professional actor. For this period, he has starred in numerous movies and in over 70 television dramas. Notable among them are Flamingo Road (1981), Gangster Wars (1981), The Gangster Chronicles (1981), Touched by an Angel (1995), Breach of Faith: A Family of Cops 2 (1997), Diagnosis: Murder (1998), 7th Heaven (2003), Jane Doe: The Wrong Face (2005) alongside legendary actress Lea Thompson, and CSI: Crime Scene Investigation (2007). The actor married his long-time girlfriend, Cindy M. Penny in 2004. They have no kids together yet. Although Jose Penny was born in England, he is American by nationality. In addition, Joe is also Italian. His father, Joseph Edward Penny Sr. was American while his mother is Italian. Unlike many entertainers whose passion for their career is usually traced to their early years, young Penny had a passion for sports. While a student of Marina High School, he was a very active member of the school’s football and basketball team. His outstanding performances in the two games made many think he’d make a career out of one of them. But later in life, Joe proved this speculation wrong. You may find it difficult to believe that before entering the acting field, Penny did several odd jobs including dishwashing. He also worked as a postal truck cleaner and crew foreman before making it to the film industry. Joe Penny’s relationship/marital life is as successful as his career. Despite being famous and also a significant part of Hollywood where it is always unusual for couples to maintain committed romantic relationships, Penny has maintained a clean sheet. According to records, the actor kept to his wife both before and after he married her. He maintained his relationship with her to the point that it began to be rumored that he is gay since he was never seen with any lady publicly. Joe keeps his personal and family affairs strictly private. In the history of their relationship, Joe has been spotted publicly with his wife only once, at the premiere of Winter People on April 13, 1989. Howbeit, the truth remains that they are having a quiet blissful union, with no rumors of conflict, infidelity, or divorce. It appears to be a trend to link Hollywood actors going by the same last name. Just as is the case with younger actor Justice Smith and his older counterpart, Will Smith, there has been a growing argument about Joe Penny being related to Brendan Penny. Many people take the two to be brothers. But the truth is that Joe and Branden have no biological relationship. While Joe Penny is of Italian-American origins, Brendan Penny is Canadian. It’s only a coincidence that they share the same surname and profession.